Sheila at Book Journey is continuing her tradition of hosting First Book of the Year: 2016. Click through to see what other people are reading on the first day of 2016. 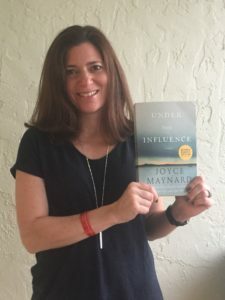 As for me, I am reading Joyce Maynard’s upcoming novel, Under The Influence. It is one of the saddest books I have read in recent memory, but I am having a hard time putting it down. She is an excellent storyteller. Under The Influence comes out in February and I’ll likely review it later this week. Happy reading to everyone in the new year!